Stretching from the Himalayas in the north to the Bay of Bengal in the south, West Bengal is primarily composed of plain land, except the north where the southern flank of the Himalayas extends into the state. Part of the Ganga- Brahmaputra delta constitutes the eastern part of West Bengal. From the northern highlands to the tropical forests of Sunderbans, variations in altitude result in great variety in nature and climate. Bankim Chandra Chatterjee composed his famous song, “Vande Mataram”, in 1882, he was in many ways symbolizing the beauty of Bengal. Some things here are still eternal. The rich culture of the state binds the population together through its unique unity in diversity and offers matchless geographical variety to its visitors. West Bengal, located in the eastern part of the Indian peninsula, is one of the country’s medium-sized, states. The state gets its name from the ancient kingdom of Vanga, or Banga. Ruled by several dynasties from ancient times, the actual history of this region is, however, available from the Gupta period. The prosperity and the importance of the state increased largely when the British East India Company took over the place. It was a widespread Bengal province until under the terms of the Indian Independence Act, 1947, the province of Bengal ceased to exist. West Bengal is one of the first destinations in a tourist’s itinerary visiting the eastern part of the country. Calcutta (Kolkata), the capital of the state, is the proud intellectual capital of the country. The city has made outstanding contribution to the country in the fields of art, science, medicine, social reform and literature. 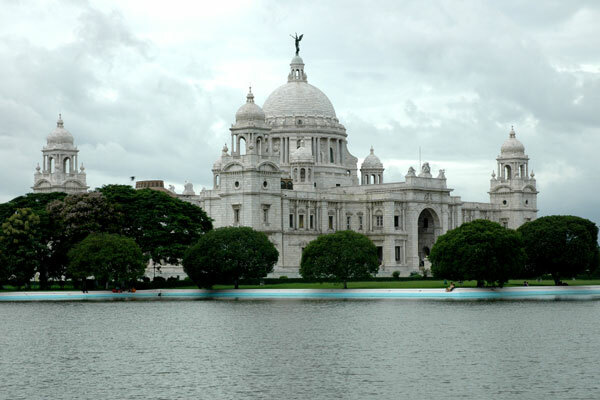 ≈The Victoria Memorial is a majestic house constructed in the memory of Queen Victoria. This building houses a number of rare specimens of the historical preserves of the land. 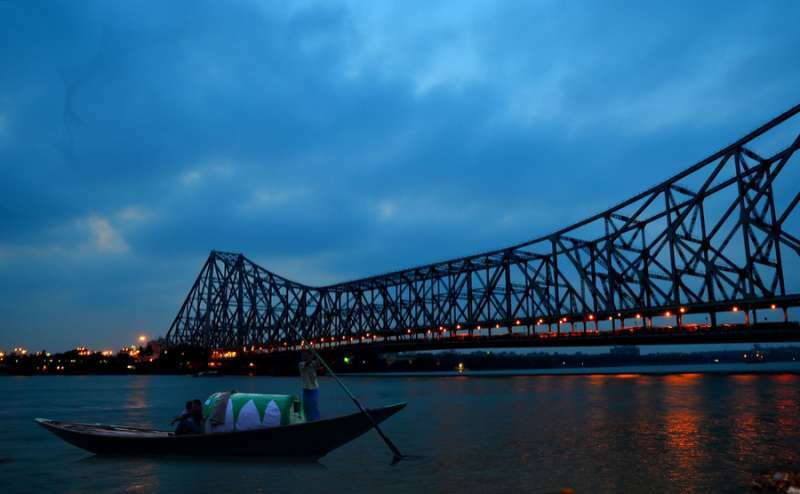 ≈Howrah Bridge is yet another landmark that denotes this city of joy. This hanging bridge is an architectural marvel of the country. The second largest planetarium in Asia, the Birla Planetarium, is another site that attracts attention of all, regardless of their age. ≈The Botanical Garden with its 250-year-old banyan tree (Ficus bengalhensis) is another, attraction of the city. The Dakshineshwar Temple is an important pilgrimage center that attracts a number of tourists as well as pilgrims from all over the country. It is said that Shri Ramakrishna Paramhansa, the spiritual guru of Swami Vivekananda, used to worship Goddess Kali in this place. ≈Thakur Bari, the residence of Rabindranath Tagore, is another site that receives a herd of visitors every year. Moreover, the Metro Railway, National Library, Shaheed Minar, Eden Garden, Fort William, Rat Park and Marble Palace are some of the other sites of the city that are worth visiting. 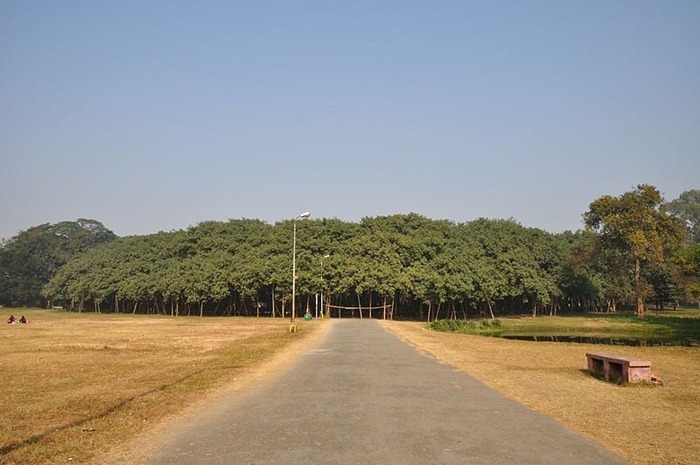 ≈Shantiniketan, Tagore’s university township, is a must on any itinerary that plots Bengal as a stopover. Just two and a half hours away by rail from Calcutta, this town in the Birbhum district is rich in culture and art. 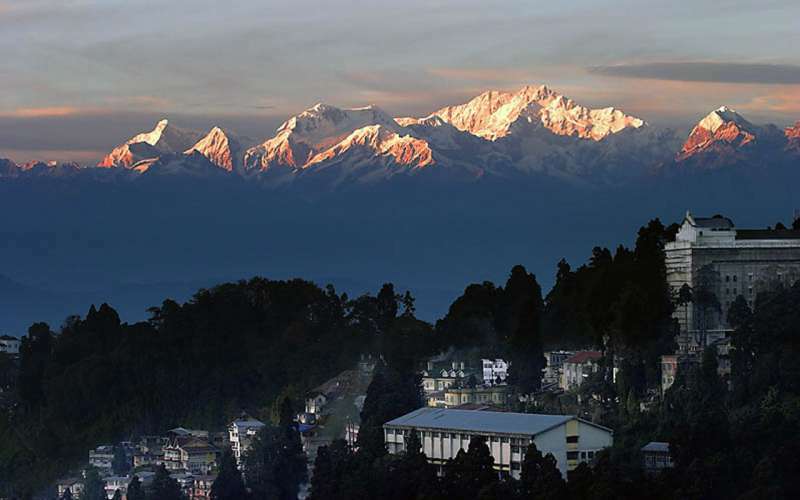 ≈For witnessing the sheer magnificence of the mountains, untouched and unspoiled, one should visit the hill station of Darjeeling, located 7,000 feet above sea level. Darjeeling is famous for its flavored tea all over the world. ** West Bengal has lot more to offer as a tourist destination ~ Digha, Siliguri, Purulia, Murshidabad, Bishnupur, Haldia and the Sunderban Tiger Reserve are some of the few places of West Bengal that need to be mentioned here. Among all East Indian food, Bengali food is known all over for its varied taste and flavor. The cuisine contains sweets as well as other meal accompanying dishes. The sweets made from milk and curds, namely, rasogolla, sondesh, malai somsom, chana mukhi, and raj bhog are especially famous all over India. Misti doi or sweet curd is another delicacy worth savoring. The Bengali is predominantly a rice eater. Above all, the fish preparation of Bengal is a culinary delight for the non-vegetarian food lovers. Bengalis prefer to other beverages, the habit of taking sweetened tea has a spread to their remotest villages. Chewing of pan laced with lime, Kattha and arecanut is universal. 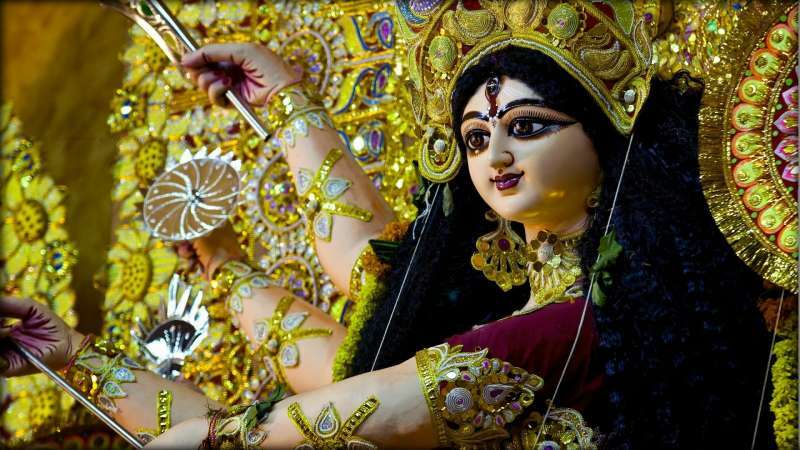 Besides the other festivals of the Hindu solar calendar, Durga Puja in October is the one that gains the ultimate importance and attention in West Bengal. Durga Puja is an extravaganza of almost seven days, but, the preparation starts months before the actual event. New clothes are an integral part of Puja for every Bengali. Besides Durga Puja; Poila Baishakh (the Bengali New Year), Rathayatra, Dolyatra or Basanta-Utsab, Nobanno, Poush Parbon (festival of Poush), Saraswati Puja, Lakshmi Puja, Kali Puja and Janmashtami are some other festivals that are given special attention in Bengal. 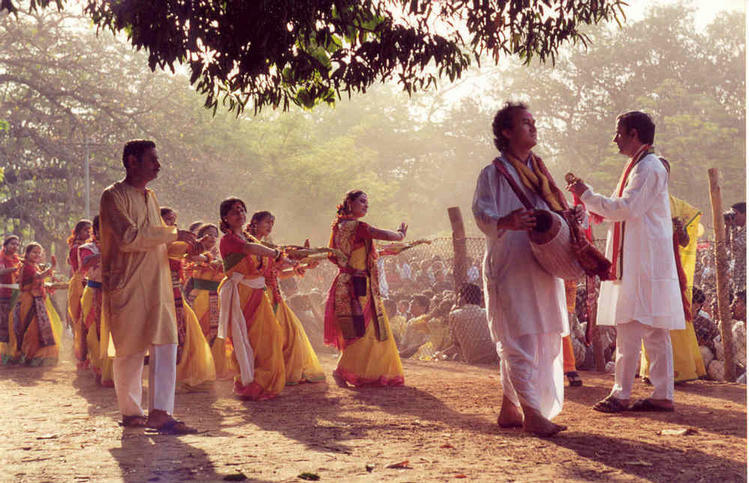 The Baul tradition is a unique heritage of Bengali folk music, which has also been influenced by regional music traditions. Other folk music forms include Gombhira and Bhawaiya. Folk music in West Bengal is often accompanied by the ektara, a one-stringed instrument. West Bengal also has a heritage in North Indian classical music. "Rabindrasangeet", songs composed and set into tune by Rabindranath Tagore and "Nazrul geeti" (by Kazi Nazrul Islam) are popular.